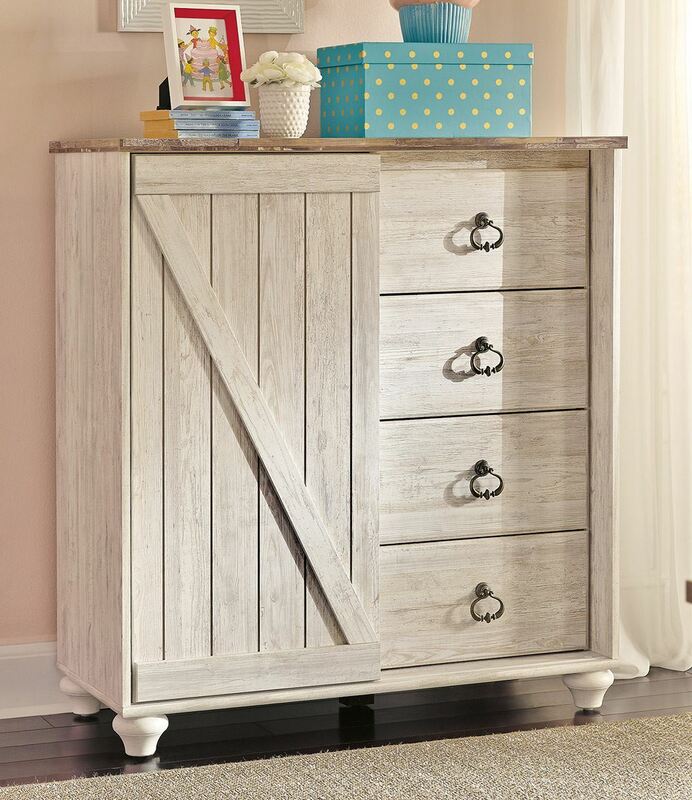 The Willowton Dressing Chest is the ultimate statement piece for a coastal cottage or shabby chic inspired retreat. It features a two-tone white finish and a replicated wood grained block pattern with an authentic touch. Undoubtedly, this causal dresser would be the perfect addition to any bedroom. 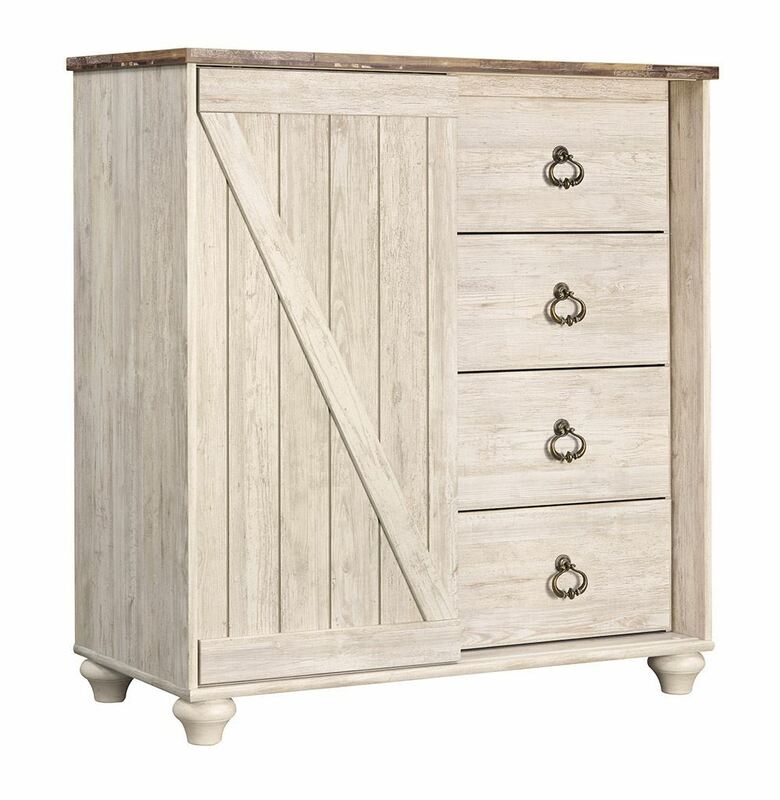 The Willowton Dressing Chest is the ultimate statement piece for a coastal cottage or shabby chic inspired retreat. Open storage with adjustable shelves and four drawers.